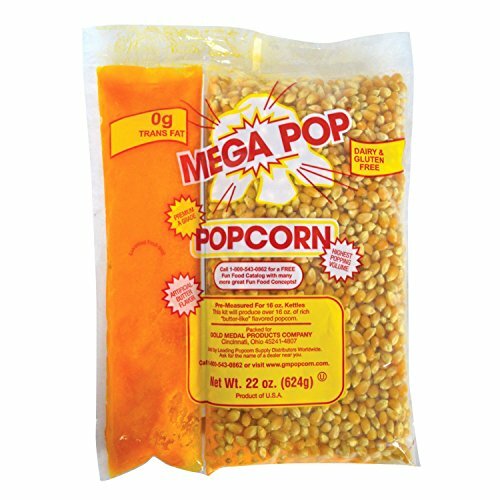 Mega-pop Popcorn Kit - 10.6 Oz. 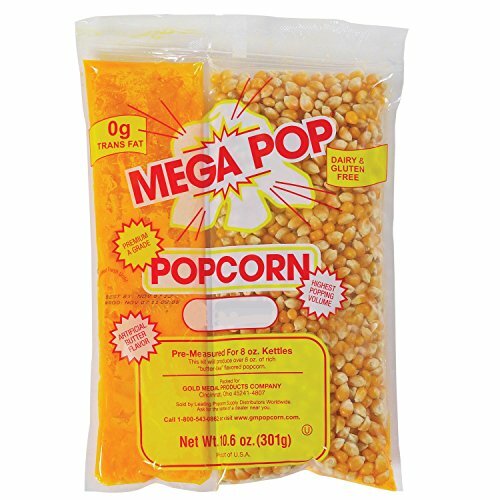 - 24 Ct.
Pre-measured popcorn kits containing yellow popcorn, yellow salt and a coconut/canola oil blend. 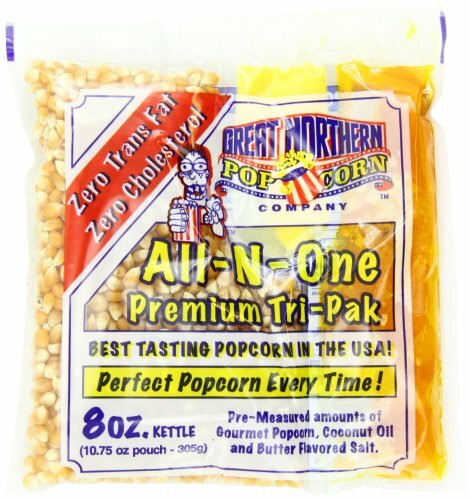 Each case contains 24-10.6 oz packets to make a batch of popcorn. 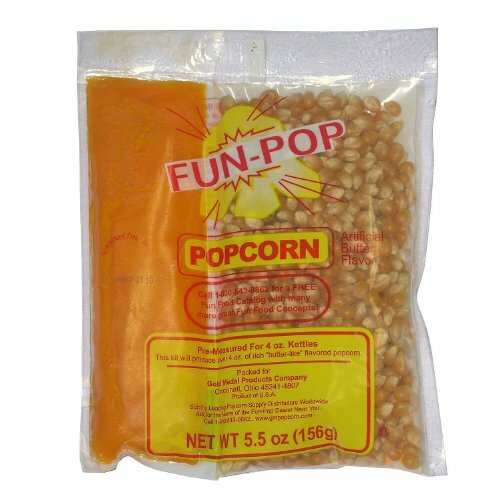 Everything you need to make popcorn, all in one convenient kit. These kits are meant to be used with 8 oz. popcorn machines. 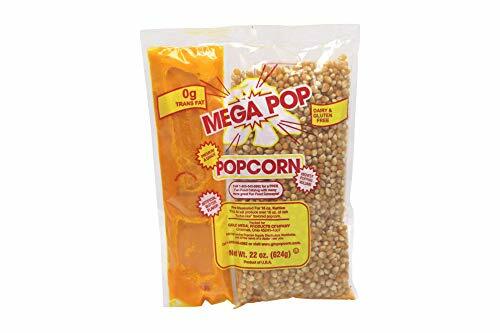 Just cut open the pouch and pour the ingredients into a popcorn kettle. Each kit is pre-measured perfectly for theater-style popcorn every batch. 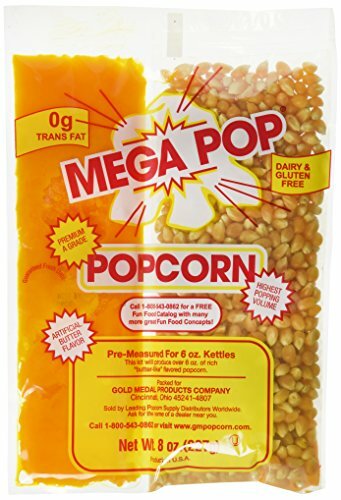 White Coconut Popcorn Oil, 50 Lb -- 1 Each Easy to substitute in recipes for butter, margarine or shortening, LouAna Coconut Oil gives your food a wholesome twist without any coconut aroma or taste. 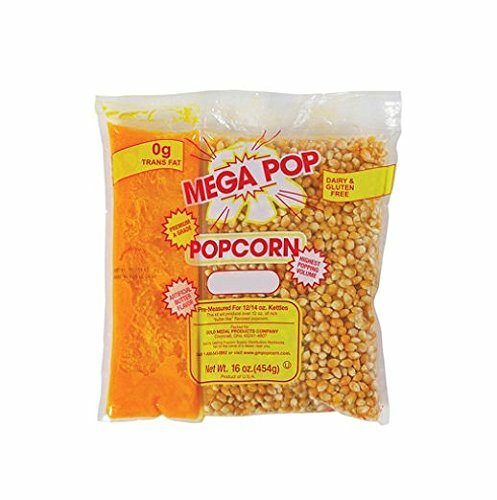 Orville Redenbachers Original Gourmet Yellow Popcorn Kernels 45 Oz. 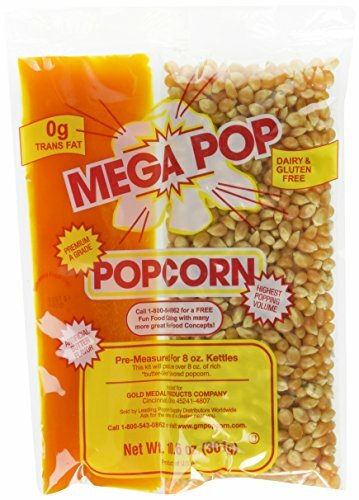 Jolly Time White Popcorn, 32 Oz. 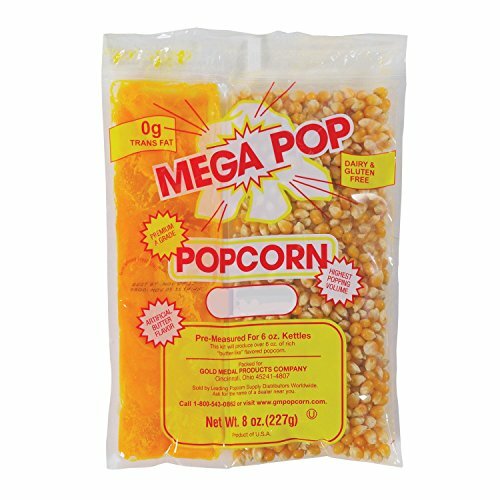 Mega-Pop Popcorn Kit - 8 oz. - 24 ct.